Watch the transformation of Sunset Terrace into the new Sunset Neighborhood Park! Sunset Neighborhood Park sits on the site of the former Sunset Terrace housing project. 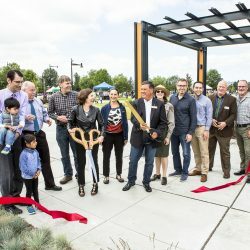 This 3.2-acre community park was designed as a “third place” for Sunset residents to come together to enjoy their neighborhood. It is currently open to the public with open space, landscaping, bathrooms, and seating. Further work on the park will happen in 2019 to install recreation facilities including a playground, a water feature, public art, and adult exercise equipment. The park’s construction is scheduled to be completed in two phases. 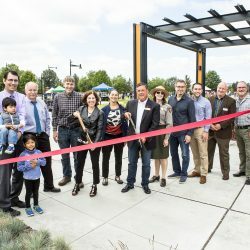 The first phase was recently completed, and the park’s opening was celebrated on June 16th, 2018 at the Sunset Park Celebration event. 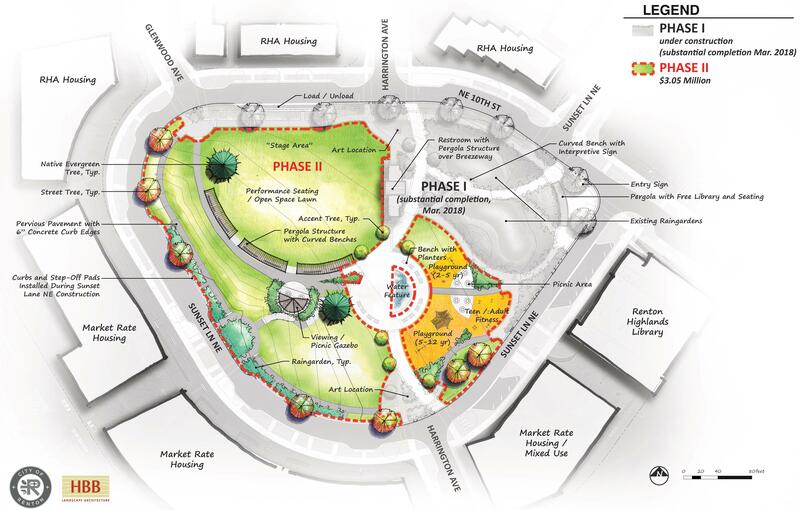 Construction on Phase II is expected to begin in 2019 with completion of the park by Fall 2019 (See below). Sunset Park, although open, is scheduled to undergo further construction in 2019 to finish the final phase of the park. This phase features the installation of recreation elements like a playground, adult fitness equipment, public art, and a water feature. 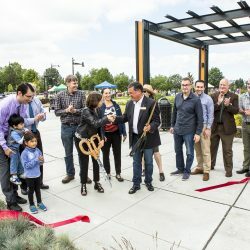 Sunset Neighborhood Park officially opened on July 16th with a kickoff celebration! Neighbors, residents, and community leaders gathered to celebrate the new park and the adjacent library. Presentations were given by key city and state official and performances were enjoyed from local dance and music groups.